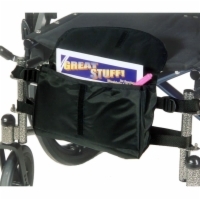 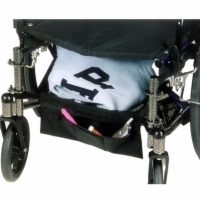 Our under-seat glove boxes are a useful accessory for wheelchair and scooter users who frequently travel in urban areas or are concerned about elevated crime rates near their homes. 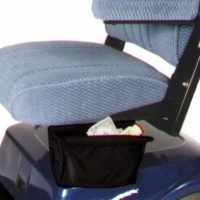 These discrete storage compartments are perfect for keeping your valuables hidden away and out of sight. 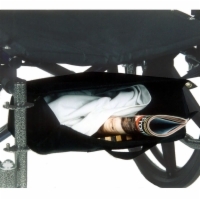 We also offer the down-in-front bags for users who prefer to lean forward to retrieve items, as well as cargo shelves for tucking away a change of clothes or books.